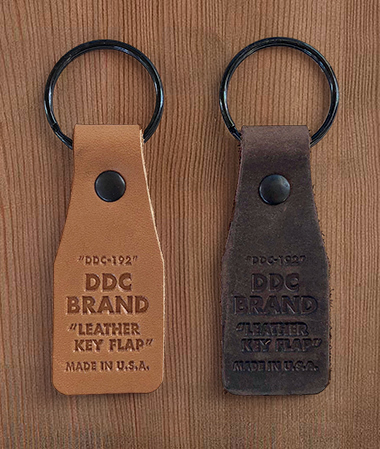 Draplin Design Co.: DDC-192 "Leather Key Flap"
Check out that sweet flap. Just a leather flap with a meaty debossing? Not necessarily. This thing WILL NOT let you down. This thing will hold the things you touch EVERY day. That’s a big responsibility. We aim to meet that challenge. Let this key flap hold your life. 02. 1.25” wide and 3” tall, clip, leather and keyring. 04. 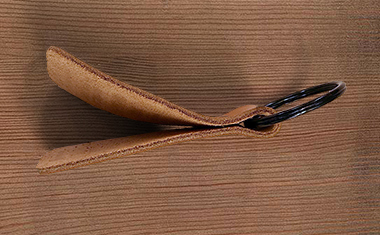 Comes in “Natural” and “Dark Brown” leather.